There is no doubt that this girl loves food. and even goes as far as opening her mouth like you’re going to feed her your food. Right now she’s eating two pureed food snacks a day, one in the early afternoon and one in the later afternoon. in addition to her five breastmilk feedings a day, ranging from as early as 5am to about 7:30pm. and have decided what to feed her by what organic veggies are in stock at either Publix or Target . We freeze some of the food, then thaw it mid week for the next few days. but we’ll see when we actually get around to that. 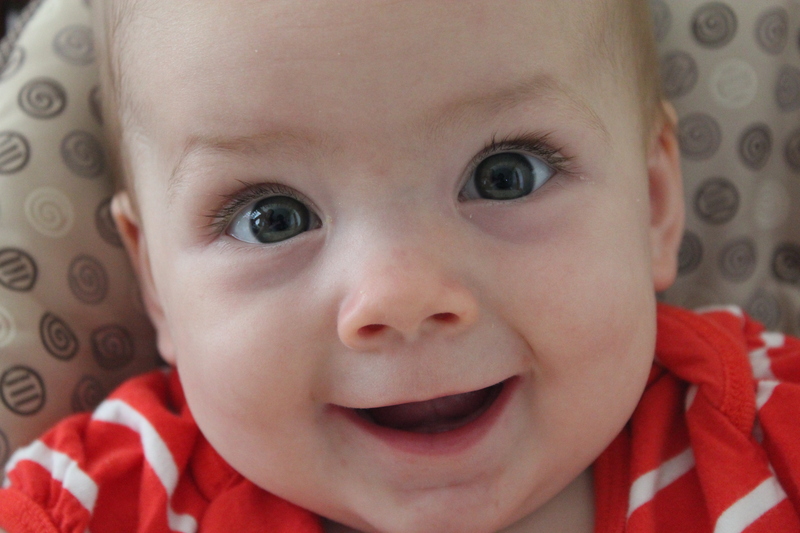 after her six month check-up and talking to the pediatricians, I felt much more at ease. It’s fun to feed her and watch her eat; and she likes it, which helps. Good for you! You are getting your little girl off to a really healthy start.